Whenever you are looking to design a logo for your business, you will have to think things through. If you do not have a lot of technical and designing skills, then you will look for professional help. However, if you are just a startup and you cannot afford to invest money in creating a professional logo, then you can always look for some free tools that will help you create a business logo. It can be expensive to create a business logo by taking help of a professional. You can always curate a list of the best free logo design maker tools to get the desired results. Here, we have listed some great websites where you can get access to free logo design maker tools to achieve the desired results. These logo maker tools can be used for free to create a logo without copyright restrictions. 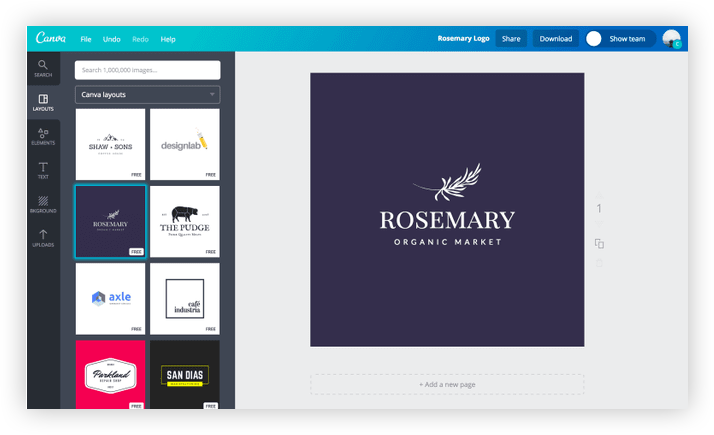 Well, Canva is one of the most popular tools out there for creating free logos. It has an excellent user interface, and you can create logo instantly. Moreover, you can use this specific tool to create a logo quickly and then save it to your computer in JPEG and PDF format. It also has multiple colour options, and it will give you much choice in layouts with unlimited categories and elements. The only thing is that you will have to create an account with your email. However, it also gives you option of registering with Facebook which makes things a bit easier. First of all, Logo Makr gives you a complete video tutorial on how you can use this tool to create logos, and it can be the perfect way to get started. It is also pretty easy to use and has an excellent user interface, and you do not need any technical design skills to create a logo. You just have to go with a symbol in your mind, and then start editing the text and create a shape that you want. It will save the logo on your computer as a low resolution, and if you need a high resolution, you will have to create a premium account. It is one of the simple tools for creating your business logo. It is simple and has a straightforward user interface to get started. You can get low-resolution logos through this website. However, it gives you a lot of front choices but only one text possibility. The cons of using this tool are that the logo comes with watermarks, so it is not an excellent option for most of the users. You can get many images in different shapes and sizes to create a design base. Here, you also have an option to upload a custom image to get started. It will also allow you to adjust the colours without any problems and gives you multiple choices for icons and symbols. Apparently, there is no disadvantage to using this tool, and it can be the perfect choice for creating a business logo. Free Logo Makers has a basic user interface and helps you create logos easily. You will have multiple pre-made designs that make things easier for you to get started. You can adjust your text and add a shape that you want to include. Moreover, you can add colours to every single element. It has limited templates, and it saves a logo in a low resolution. 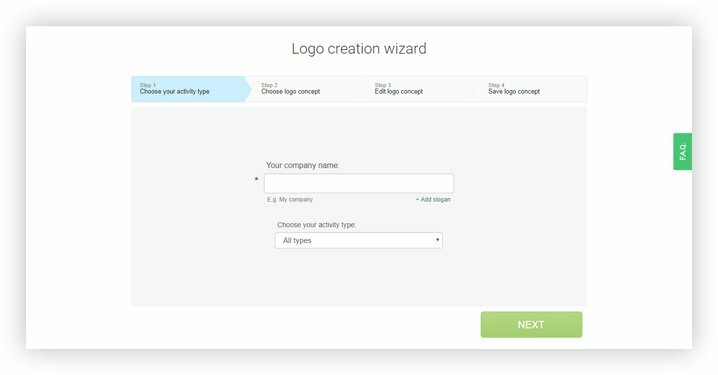 It has a simple user interface, and you can quickly create logos using this tool. You can select a shape and then fill in the information you have. You can also adjust the colours that suit your requirements. Again, there are no drawbacks to using this tool for creating amazing logos for your website. It is another excellent choice for you if you are looking for a free tool to create logos. It has a wide range of options to choose from and will allow you to add your preferred shape as well. You can also put in the second icon as well. You can also adjust the texts as well. There can be problems with the quality of the logo as compared to other options. This free logo maker will allow you to set a text icon, and you can only add one fixed symbol. You can create a logo through this tool. However, it will not give you the best output. This tool requires an update, and the user interface is not up to the mark. Plus, it lacks a professional touch. If you are a beginner, then free logo design can be the right choice for you. You can get free logo designs with this tool. You can have many options for symbols, and you can easily adjust the colours. You can save low-resolution logos. You have to pay a fee for high-resolution logos. It will allow you to select a logo out of 597 images. You will have two text options, and it will crop your images automatically, and the image can be downloaded as a JPG. As compared to other options, it is simple and has fewer features. With this tool, you will have a lot of premade logotypes. You can also add company name and select the pre-made logo to adjust the colours and shape. Apparently, there are no drawbacks to using this specific tool for creating logos. One of the easy tools to work with and you can create a logo in three simple steps. First, you can select a category, and then you will have to choose the right symbol, and at the last level, you can complete a logo with colour and text. Huge advertisements but offers complete features. With this tool, you will have an excellent resolution for the logos, and it has a unique and simple user interface. If you are looking for high-resolution logos, the cost is just $5. There are no drawbacks to using this tool, and it is the perfect option. You can create your logo in easy steps. You can put in the company name, and it will give you many logo suggestions. There are few sets of symbols that you can use, and you can also add tags to the image. It gives you limited options, and you will have to sign up to download the logo, and it is also in low resolution. It is a straightforward tool to create a logo. You can add one text colour, and it also allows you to add a shadow. You can choose your preferred background as well. It is not the best option as compared to other logo generators out there. Well, for finding the perfect option for making your business logo, you can always compare these different tools. However, all these tools will let you create a simple logo for your business, and you can continue with such a logo in the first few years of your business. However, if you are willing to invest, then you should always hire professional assistance to get the desired results. Whenever you are selecting a free logo design maker tool, you must check the features and make some comparison and then choose the one that will allow you to download high-resolution logos for free.